NMBS Exhibition 2019 will once again be held at the Ricoh Arena, Coventry on Wednesday 10th April. 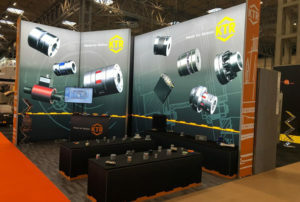 According to recent figures, there will be over 280 supplier and manufacturers exhibiting at the exhibition in 2019, making it the biggest buying and selling event for Independent Builders, Hardware, Timber, Roofing, Plumbing and Heating Merchants, so if you are planning on exhibiting too you will need a stand that enables you to ‘stand’ out from the crowd and this is why Showplace come into our own. Our experience, know-how and design capabilities ensure that you will get the football you desire at NMBS Exhibition 2019, whatever your budget may be. This is because Showplace offers a wide range of exhibition stands, from a completely bespoke design and management service to our off-the-shelf stands, and no matter which option you choose we guarantee that your stand will have the extra special “wow” factor!